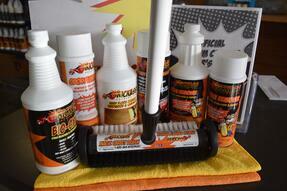 KICKASS Carpet Cleaning Kit and KABOODLE Cleaning Cloth! 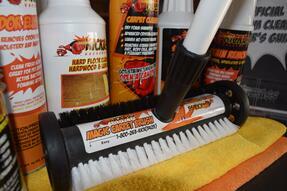 Swing by Capital Vacuums to pick up our new cleaning solution and cleaning kit! 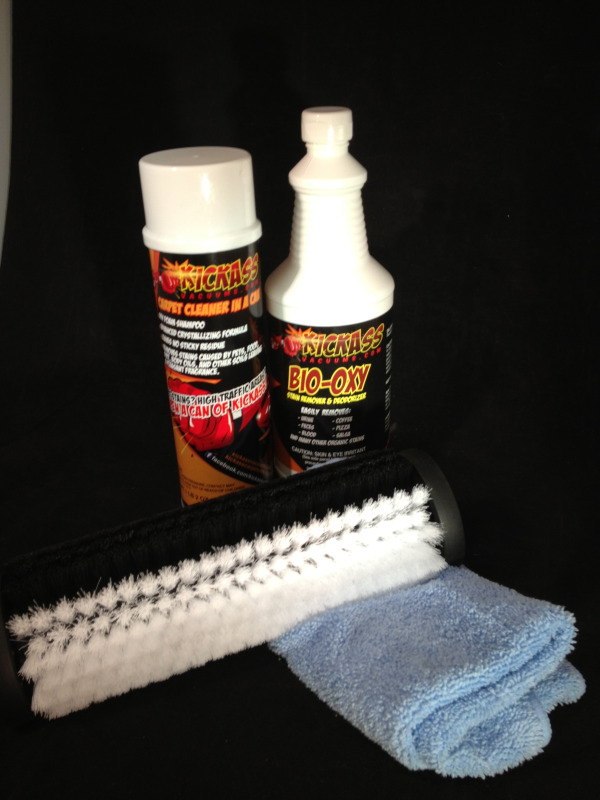 The KICKASS cleaning kit comes complete with a can of KICKASS carpet cleaner, KICKASS Bio Oxy stain remover, a KICKASS carpet brush, and a KABOODLE cleaning cloth. Normally $59.95, get the whole Kit and KABOODLE for just $39.95! OPEN UP A CAN OF KICKASS! Our new Spray Foam "KickAss Carpet Cleaner In A Can" will be here in a few weeks. 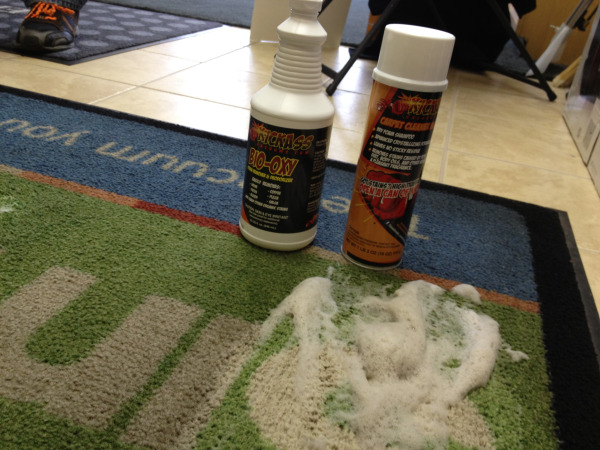 We use this stuff all the time to maintain the carpet in our showroom. We intentionally installed regular residential inexpensive carpet in our store about 4 or 5 years ago just so we could show customers how to properly maintain their carpets. For the last five years we have been using encapsulating dry foam carpet cleaner to keep the nap lifted, remove soil, keep them smelling fresh and looking great. In my opinion (In this business for 30 Years . 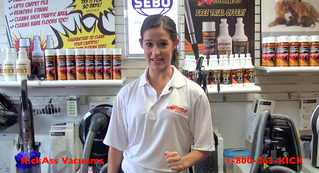 Own Two vacuum Cleaner stores and a Professional Carpet Cleaning Company with Thousands of satisfied customers) It is, without a doubt, the most cost effective, best way to keep the carpet clean and looking great! Takes about 10 Minutes and less than $10 to get an entire room of carpet looking great and smelling fresh! 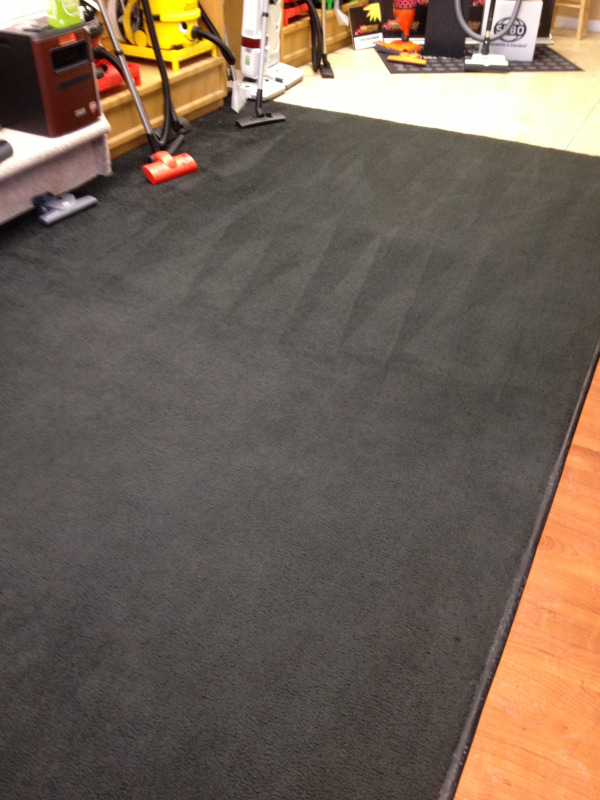 Check out these pictures - can you tell which section we just cleaned with a Can of KickAss carpet Cleaner?